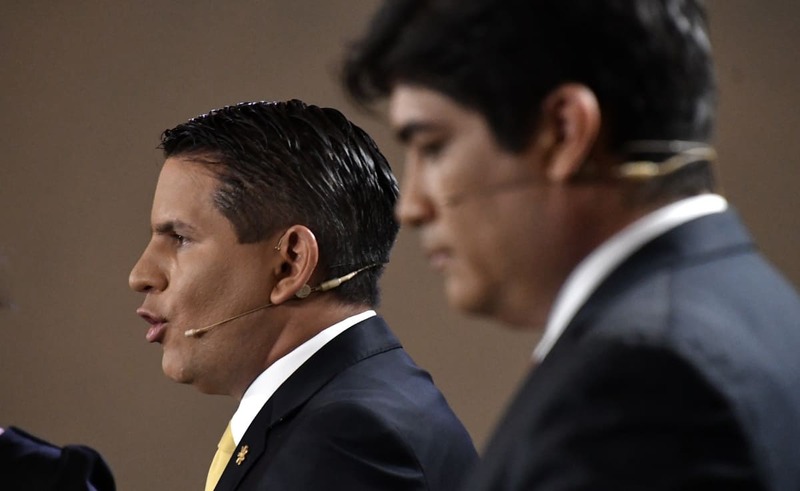 The two candidates for the presidency of Costa Rica, the evangelical preacher Fabricio Alvarado and the former Cabinet minister Carlos Alvarado, continue to show a statistical dead heat, according to a poll published Friday. The Center for Research and Political Studies (CIEP) poll indicates that Fabricio Alvarado, a former legislative representative from the conservative National Restoration Party, has 43 percent of support from those who plan to vote, versus 42 percent for Carlos Alvarado (no relation) running for the Citizen Action Party (PAC), center left. The remaining 15 percent declares itself undecided, according to the CIEP, an institution of the University of Costa Rica (UCR). The poll was carried out between March 19-21 with 1,202 people and has a margin of error of 2.8 points. Within the surveyed, 31 percent indicated that they wouldn’t vote on April 1, Easter Sunday. The new poll shows that Carlos Alvarado is receiving more support from people who voted for other parties in the first round on Feb. 4, while Fabricio Alvarado tends to receive more support from whom abstained from voting in the first round.